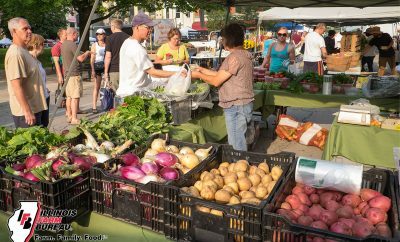 Most of us love going to the farmers’ market – a neighborhood gathering place with piles of fresh produce and discussions with friendly farmers. But some of us discover just one problem: What do you do with that canvas bag of vegetables when you get home? 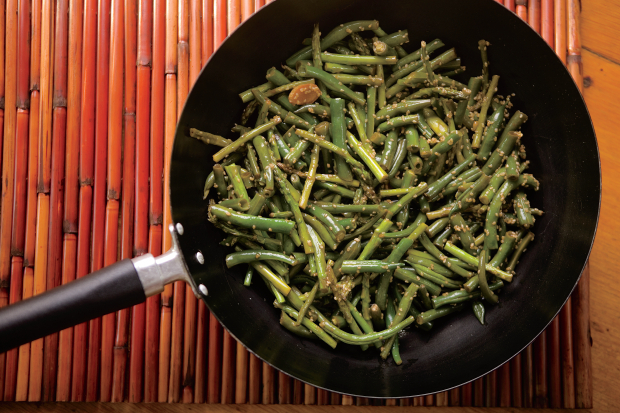 We’ve included some recipes for both common produce, such as tomatoes and green beans, as well as less familiar farmers’ market fare, such as kale and beets, to add some summer flair to your vegetable side dishes. If dietitians have a darling vegetable, it has to be kale. While not as well known as some fellow cruciferous vegetables like broccoli or cabbage, kale can be counted on for some unsurpassed health benefits, if for no other reason than its exceptional nutrient richness. Kale’s nutrition stands out in three basic areas: (1) antioxidant and anti-inflammatory nutrients, (2) much-needed micronutrients (in which the average U.S. adult is currently deficient) and (3) cancer-preventive nutrients called glucosinolates. Look for kale with firm, deeply colored leaves and moist, hardy stems. At the farm stand or grocery store, kale should be displayed in a cool environment since warm temperatures will cause it to wilt and will negatively affect its flavor. The leaves should look fresh with no wilting and no signs of browning, yellowing or small holes. Choose kale with smaller-sized leaves since these will be more tender and have a milder flavor than those with larger leaves. To store, place kale in a plastic bag, removing as much of the air from the bag as possible. Kale will keep in the refrigerator for five days, but the longer you keep it, the more bitter its flavor becomes. Do not wash kale before storing because exposure to water encourages spoilage. To prepare, rinse kale leaves under cold running water. Chop the leaf portion into half-inch slices and the stems into quarter-inch lengths for quick and even cooking. 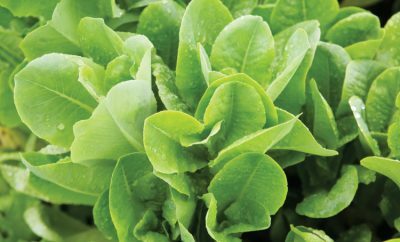 It can be steamed or sautéed with garlic and onions or simply chopped and served raw for a salad. 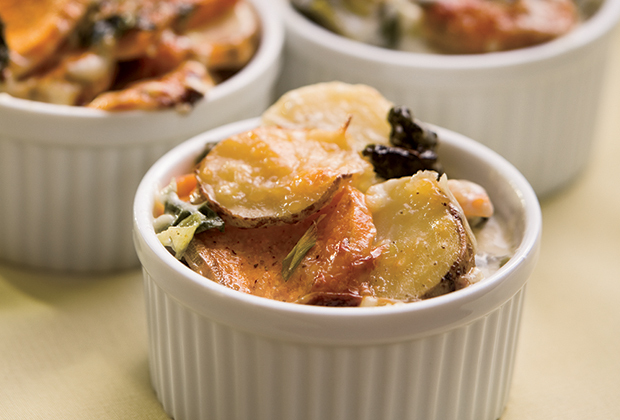 Take a look at the recipe for Potato and Kale Casserole. This knockoff of scalloped potatoes packs more nutrition than its cheesy counterpart and comes highly recommended by my family. What’s special about beets? Beets boast a unique combination of betalain pigments, both betacyanins (red-violet pigments) and betaxanthins (yellow pigments). They also serve as an excellent source of hearth-healthy folate and a very good source of the antioxidants manganese and vitamin C, as well as heart-healthy potassium. Beets feature digestive-supportive dietary fiber, free radical scavenging copper, bone-healthy magnesium and energy-producing iron and phosphorus. To prepare them, rinse gently under cold running water, taking care not to tear the skin, which helps keep the health-promoting pigments inside. Since beet juice can stain your skin, I recommend wearing kitchen gloves when handling beets. If your hands become stained during the cleaning and cooking process, simply rub some lemon juice on them to remove the coloring. Cut beets into quarters, leaving two inches of taproot and one inch of stem. After that, you can simply grate raw beets for a delicious and colorful addition to salads or decorative garnish for soups. Try marinating steamed beets in fresh lemon juice and extra virgin olive oil for another flavorful way to eat your vegetables. And don’t toss the beet greens – you can boil them for one minute to make a great-tasting side dish similar to Swiss chard. 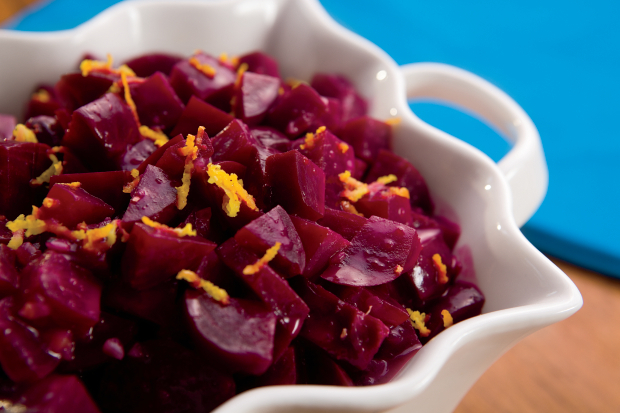 I’ve also included a recipe for All-American Beets, a roasted side dish that features orange flavors to complement the root vegetables. 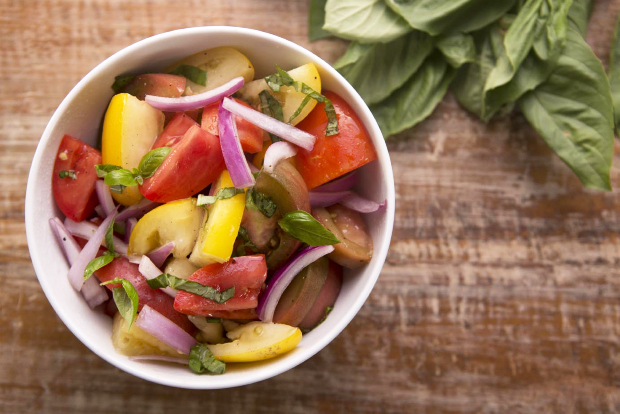 Finally, you’ll find recipes for more familiar summer produce – Italian Tomato Salad, featuring ripe tomatoes, red onions and fresh basil, and Sesame Green Beans and Asparagus, in which healthy green vegetables get a ginger-garlic kick. 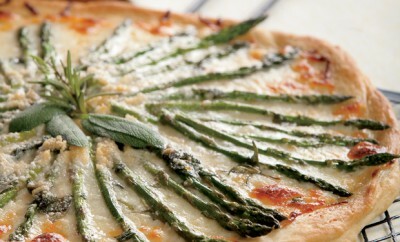 Check out ilfbpartners.com/farmers-market for more seasonal summer recipes.